WAYNE, PA — Villanova basketball coach Jay Wright was the guest speaker on Oct. 7 in the “HomeGrown – Lectures, Learning, Locally” series at the Wayne Art Center. Wright’s Wildcats were only 1 out of 9 teams to have advanced to the NCAA Tournament in 10 of the last 11 seasons, but Wright is most proud of the fact that every Villanova player who has spent four years in the program has earned his degree – on time. Source: Bruce Adams.. mainlinemedianews.com. 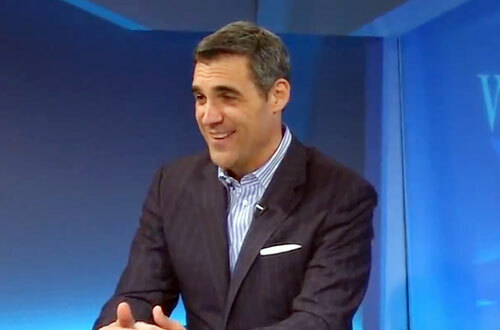 Jay Wright has served as head basketball coach at Villanova since 2001. He was named the Naismith Coach of the Year in 2006 and led the Wildcats to the Final Four in 2009. If you would like to book Jay Wright for a speaking engagement, guest appearance, product endorsement, charity fundraiser or corporate event, contact Jay Wright’s booking agent at Sports Speakers 360 for appearance and speaker fees or call 1.855.303.5450.